I often get queries asking for advice on how to set up a system like The HenCam, after all, doesn’t everyone want to be able to keep an eye on their chickens when away, and share the fun of their animals with others? However our system is not easy to replicate – it’s technically challenging (I know because my IT Guy/husband is frequently working on it), nor is it inexpensive to run. But we love having the HenCam, and really like sharing it with all of you out there. There are various solutions depending on your budget and just exactly what you are trying to accomplish. The easiest (and cheapest) solution is to buy a web camera and attach it directly to your computer using a USB cable. These cameras are generally used for video conferencing and video instant messaging, but instead of pointing the camera at you, just point it out the window. Unfortunately the camera has to remain indoors and close to the computer (maximum length of a USB cable is 5 meters). Also typically you can only watch the video from that computer. For more information see this tutorial at HowStuffWorks. If the camera has to be far away from your computer then you need a network camera. These self-contained cameras are not attached to a computer, they just need power and a network connection (usually Ethernet, although some can also connect wirelessly with WiFi). These cameras have built-in webserver software, and a web browser on your computer is used to control the camera and view the video. 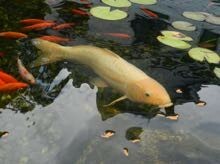 If you intend to mount it outdoors then make sure your camera is weatherproof and can handle extreme temperatures. If you want to view your camera from outside your home then you need an always-on Internet connection (e.g., cable modem or DSL). Your Internet service provider (ISP) must assign the camera a static IP address, or you can use dynamic DNS (DDNS) which most cameras support. One limitation is that network cameras allow only a small number of simultaneous users. The upstream bandwidth of your home Internet connection will also limit the number of viewers. Also look into one of the new cloud-based video services such as Dropcam. However these cams are generally designed for indoor use. If you want to allow many users to view your camera then consider a video hosting service that offers video streaming. Now your home Internet connection only has to upload a single stream from your camera up to the hosting service. The service takes care of the rest. We currently have two cameras. 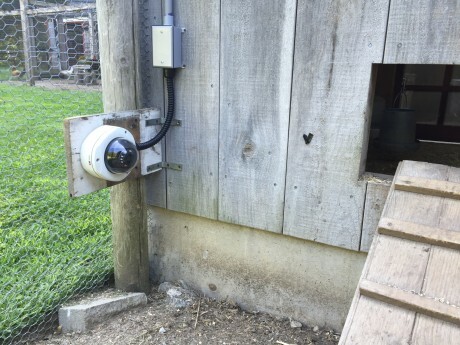 The main HenCam, outside the Big Barn, is an ACTi E71A network camera. This cam has an infrared illuminator for nighttime viewing. BarnCam, located in the Big Barn, is another ACTi E71A network camera. This one also has an IR illuminator, so you can see the hens at night. BarnCam also streams audio, using a Verifact E microphone from Louroe Electronics. That’s the leftmost rectangular box in the above photo. The microphone and preamp are powered from 12VDC provided by the camera. 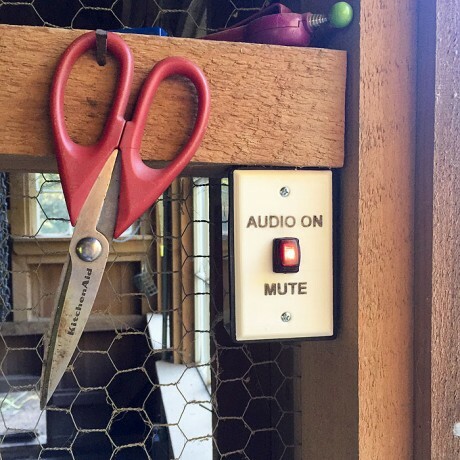 There is also a custom mute switch installed in the barn, for those occasions when you want some privacy. The outdoor cameras are weatherproof and all can operate well below freezing temperatures. Image quality is excellent. 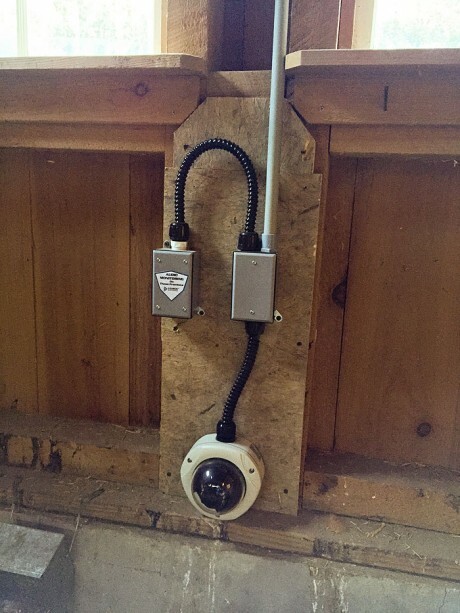 Ethernet cables run underground from the house basement out to the Little Barn, and from there to the Big Barn. Originally the power and Ethernet cables ran unprotected to the cameras. However one day Candy the bunny started chewing on them, so now all the wiring is safely inside electrical conduit. We use ffmpeg on our local server (an Apple Mac mini) to transcode the stream from each camera and add the watermark overlay and timestamp. Next each stream uploads to YouTube where their live streaming service sends it out to each viewer. Our Internet connection uses Comcast cable with 30Mbits/sec upload bandwidth. The website is hosted on a dedicated server at DreamHost. It’s been great fun putting all this together. Thanks for watching The HenCam!